Globally, there is a rapidly rising trend in body mass index and obesity in adults. Health risks of obesity include kidney diseases, diabetes, cancers and more. Surprisingly, studies indicate that obesity is a strong, independent risk factor for the prevalence of urinary incontinence. Weight loss studies indicate that surgical and nonsurgical weight loss leads to significant improvements in incontinence. In a recent small prospective cohort study, overweight and obese incontinence women enrolled in low calorie liquid diet weight reduction program. Those achieving a weight loss of 5% or greater had at least a 50% decrease in urinary incontinence frequency. The association or connection between obesity and incontinence is strongest for stress and mixed incontinence, and weaker for urge incontinence. There is evidence that individuals who have been overweight or obese since early in adult life more than double their risk of severe incontinence. Are you looking for a Bariatric Product? Shop our Bariatric Range now. 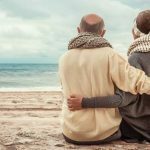 What is the Relationship Between a High BMI and Incontinence? 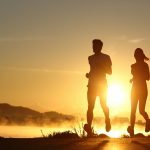 One common explanation for this relationship is that increased weight causes additional stress to be placed on the pelvic floor muscles. As a result, the pelvic floor muscles become weak and sag. Doctors often compare obesity to the late stages of pregnancy in that it can cause chronic strain, stretching and weakening of the nerves and muscles of the pelvic area. This causes them to become weakened more quickly than in a person with a lower BMI. Deposition of fat around the abdomen is another large factor associating obesity and urinary incontinence. Many recent studies suggest that excess body weight increases abdominal pressure. This, in turn, increases bladder pressure and mobility of the urethra. Noblett et al has found strong correlations between BMI and intra-abdominal pressure and intravesical pressure. He concluded that obesity may cause a chronic state of increased pressure on the pelvic floor area. Across adult life, having a high BMI may also cause mechanical stress on the urogenital tissues. 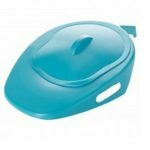 Bariatric products are designed to provide extra comfort for users with a high BMI. 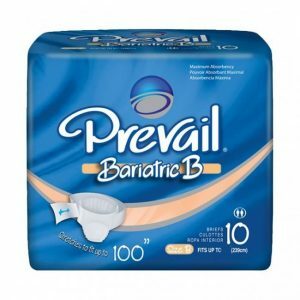 You can purchase bariatric pads, all in ones or incontinence pants in the market. 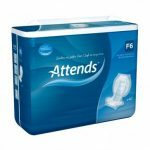 The type of product you choose should depend on the severity of your incontinence. 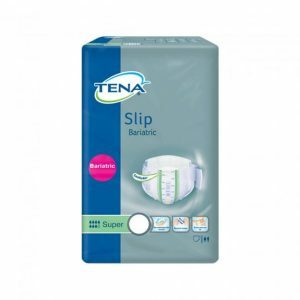 If you have light incontinence, you should use a product with minimum protection such as a pad. On the other hand, if you lose a lot of urine at once, you should invest in an all in one or brief with a high absorbency. This product is designed to fit completely around the body before fastening securely with bottom and top tapes. Additional security barriers are included for increased comfort and leakage protection. 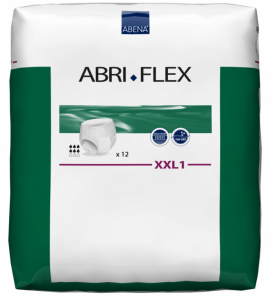 Abena Abri-Flex XXL pull up pants include a built in absorbent pad and are designed to be worn like normal underwear. The waist band in these pants is wide in order to ensure maximum comfort and freedom of movement. The product design allows an easy product change. You can change the product in a lying or standing position. Designed with soft textile-like backing, the product will not damage skin during use. 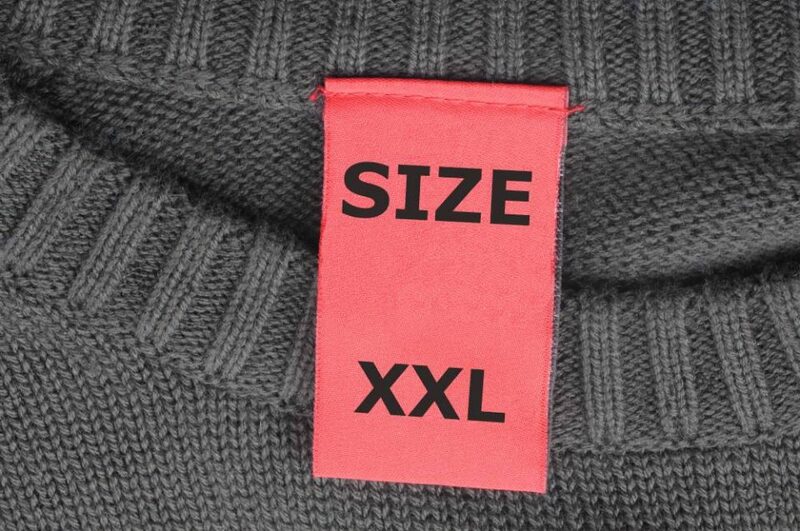 Before purchasing products, it is important to measure your waist and hips. Read our Product Guides Section for more guidance on choosing a product.